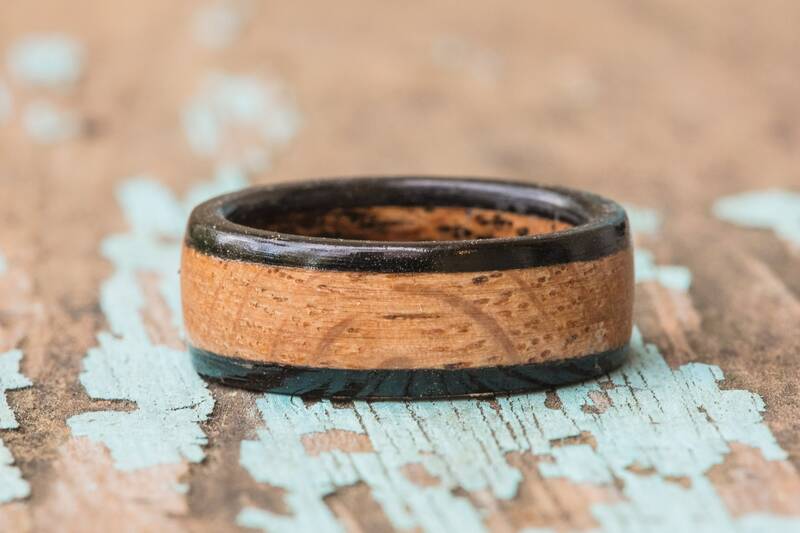 This hand turned ring is made from fencing from some of Kentucky's most famous horse racing stables - home to some of the top thoroughbreds in the world. We've acquired a small amount of fencing as it was being replaced and made it into these custom made-to-order rings for the horse and horse racing enthusiasts! 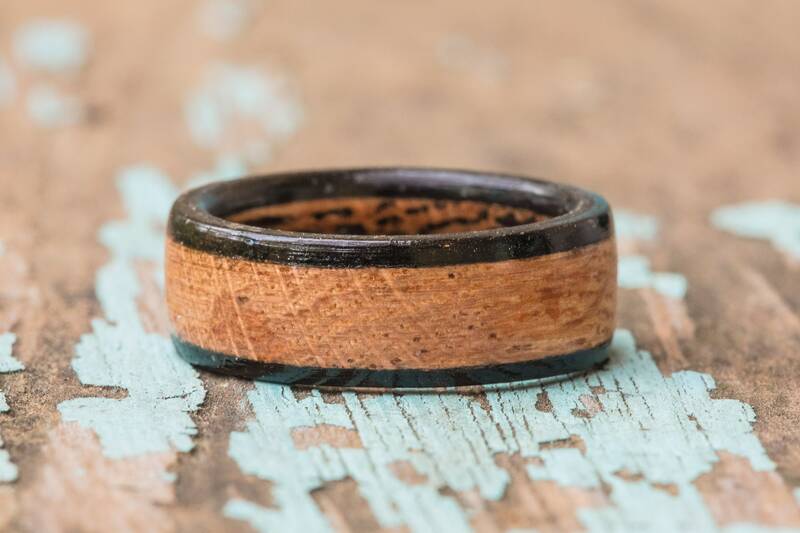 The core of each of these rings is made from the race horse fencing wood, with edge materials made of dark black ebony wood for a stylish contrast. Each ring will have it's own unique patterning, and you may see some variation in color from those shown - no two rings are exactly alike!